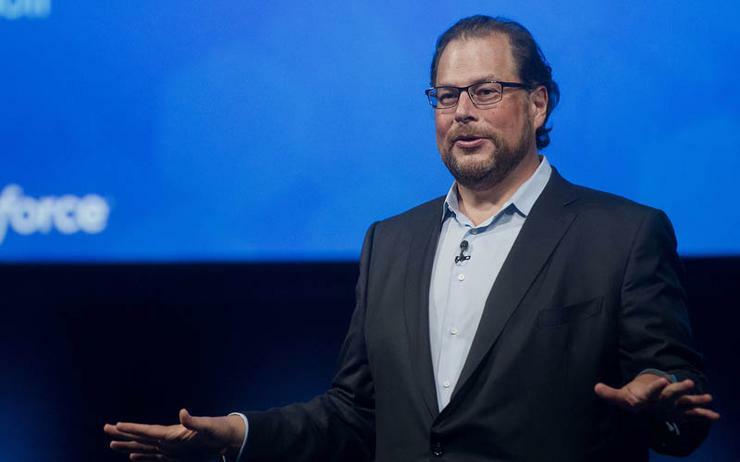 Salesforce and Google have struck a new integration deal that sees the customer relationship management (CRM) software vendor tap into the Google Cloud Platform for its core services, as part of an international infrastructure expansion for the software-as-a-service (SaaS) provider. The deal sees the companies bring together Salesforce's cloud-based CRM platform with G Suite, Google's productivity and team collaboration services. As part of the agreement, Salesforce has named Google Cloud as a preferred public cloud provider to support its global customer base. The agreement also sees Google offer eligible Salesforce customers with company-wide G Suite licenses at no additional cost for up to a year. Additionally, the arrangement, which was announced at Salesforce’s Dreamforce 2017 event in San Francisco on 6 November, sees the integration of Salesforce with Google Analytics for the first time, in a move aimed at connecting sales, marketing and advertising data for end clients. This is aimed at connecting sales, marketing and advertising data across Salesforce Sales Cloud, Salesforce Marketing Cloud and Google Analytics 360. The new integrations are expected to give end users the ability to garner customer intelligence between Salesforce Lightning and Quip and Gmail, Hangouts Meet, Google Calendar, Drive, Docs and Sheets. As part of the global strategic partnership, the companies will initially deliver a number of new integrations. These include integrating Connect Salesforce with G Suite, Salesforce Lightning with Gmail, Salesforce Lightning with Google Sheets, and Quip Live Apps with Google Drive and Google Calendar. Salesforce for Hangouts. It also sees Salesforce Marketing Cloud linked up to Google Analytics 360, and Salesforce Sales Cloud integrated with Google Analytics 360. According to the companies, several integrations between G Suite and Salesforce are already in market, including Salesforce Lightning for Gmail, and integrations with Calendar and Google Drive. Deeper integrations are expected to start rolling out in 2018. The Quip Live Apps integration with Google Drive is expected to be generally available in the first half of 2018 with any Quip Enterprise License. The integrations between Salesforce and Google Analytics 360 are expected to begin to arrive in the first half of 2018 and will be offered at no additional cost. The move to integrate Salesforce’s CRM platform with Google’s cloud platform come just a day after Adobe and Microsoft revealed plans to deepen their ongoing partnership with the integration of Adobe’s Experience Manager content management platform with Dynamics 365, in a move aimed at boosting the companies’ CRM prowess. Just over a year ago, the two software vendors announced plans for a strategic partnership that saw Adobe make Microsoft Azure its preferred cloud platform for the Adobe Marketing Cloud, Adobe Creative Cloud and Adobe Document Cloud. It is hoped that the latest integration of Adobe’s Experience Manager with CRM data from Microsoft Dynamics 365 will see enterprise marketers able to deliver one-to-one personalisation of web content at scale.